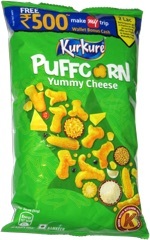 Taste test: This was another bag I bought in NYC for $3.59, only to find it half full (5 oz. bags should be smaller). 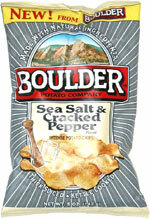 Having tasted a lot of salt & pepper chips (Utz still reigns supreme in my book), I was a little disappointed in this. Each chip had a different amount of pepper on the chip, it was very inconsistent. Those that did have a lot of pepper on the chip left a spicy aftertaste in the mouth, but Utz is still the salt & pepper champ to me. Smell test: A pretty good peppery smell.